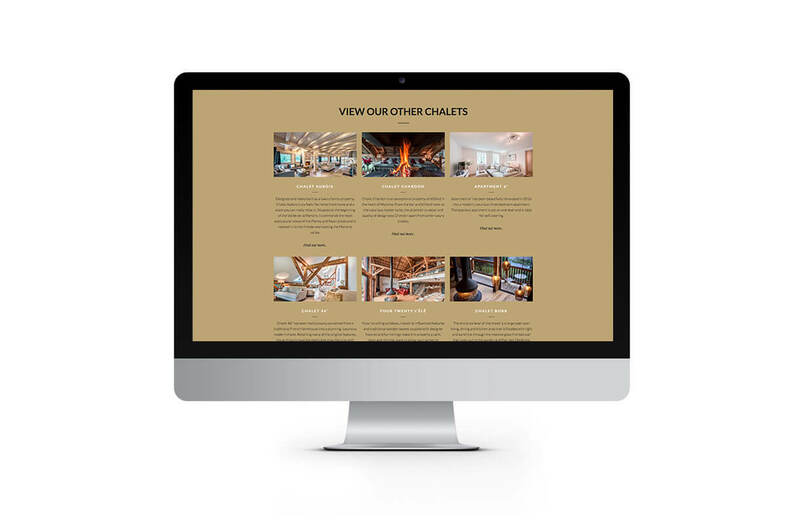 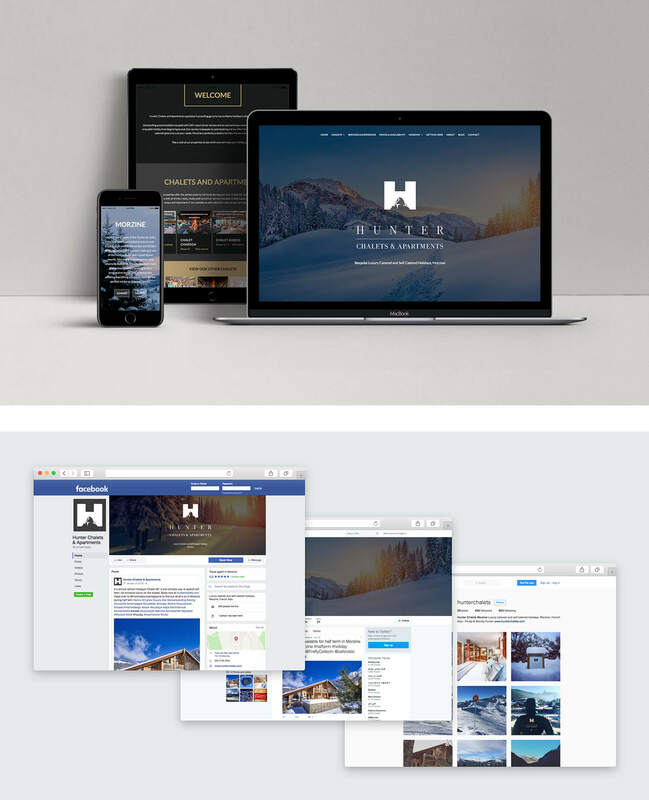 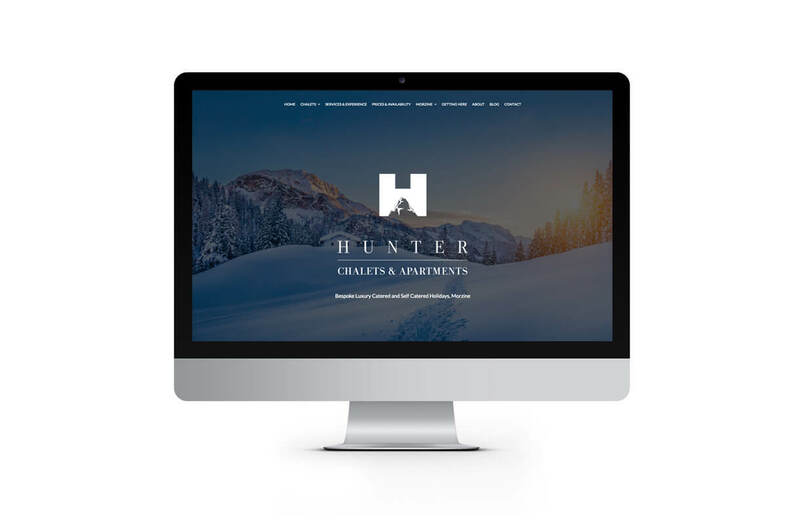 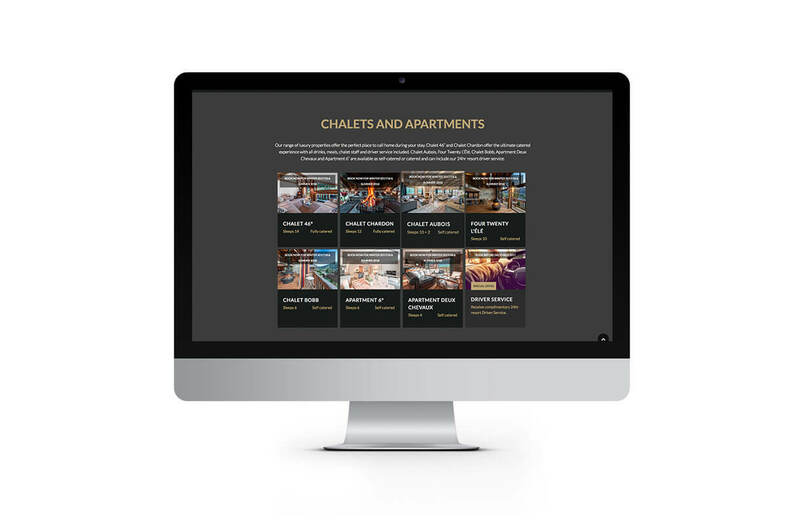 With stunning new luxury chalets and apartments set to launch in the spectacular French ski resort of Morzine, Hunter Chalets required a captivating brand and website to promote their exciting new venture. 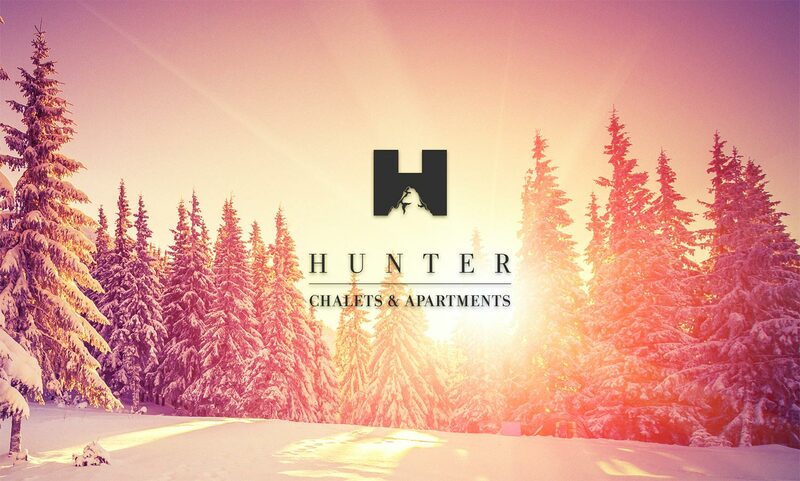 Only 1 hour and 15 minutes from Geneva airport in the Portes Du Soleil, the largest connected ski area in the world, Morzine is the perfect year round destination for winter sports and summer activities. 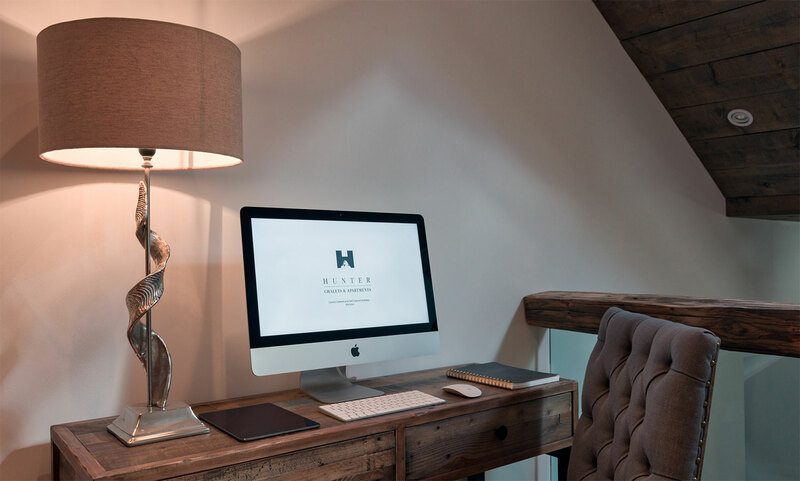 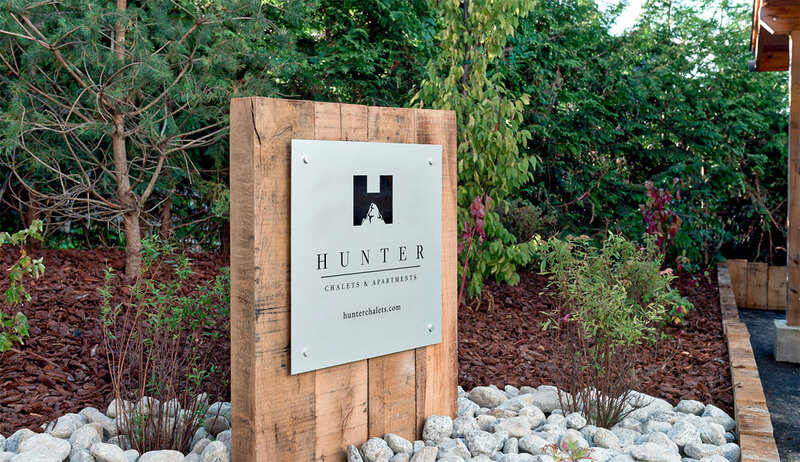 Befitting such an outstanding location, Hunter Chalets provide a standard of accommodation and services you would expect to find in a high-end boutique hotel. 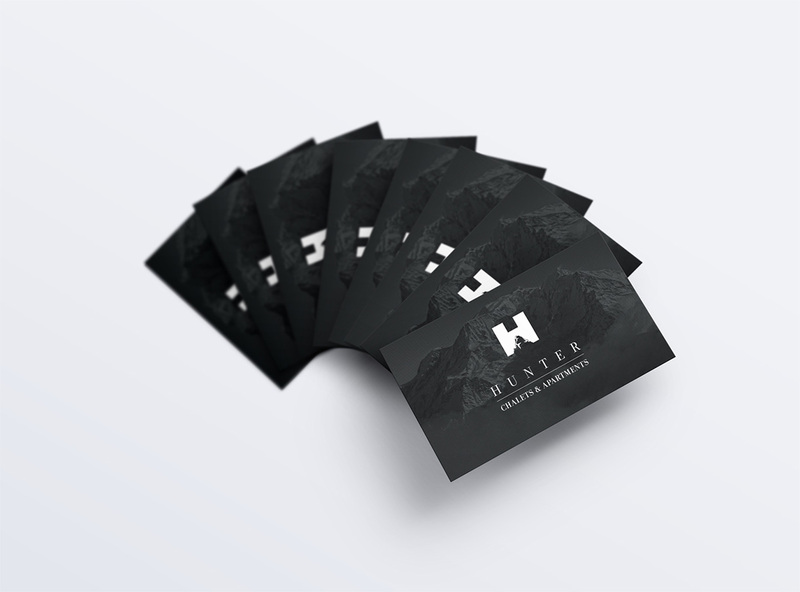 Our task was to create marketing material that would appeal to the most discerning of travellers. 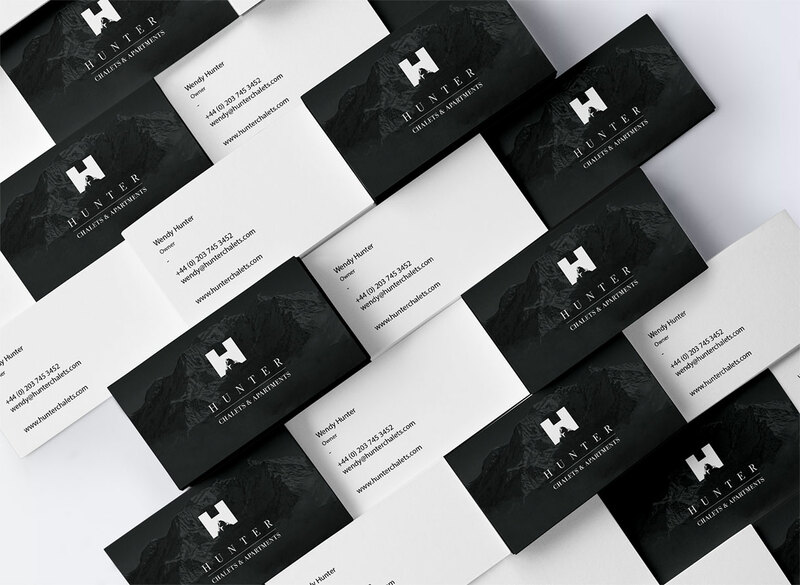 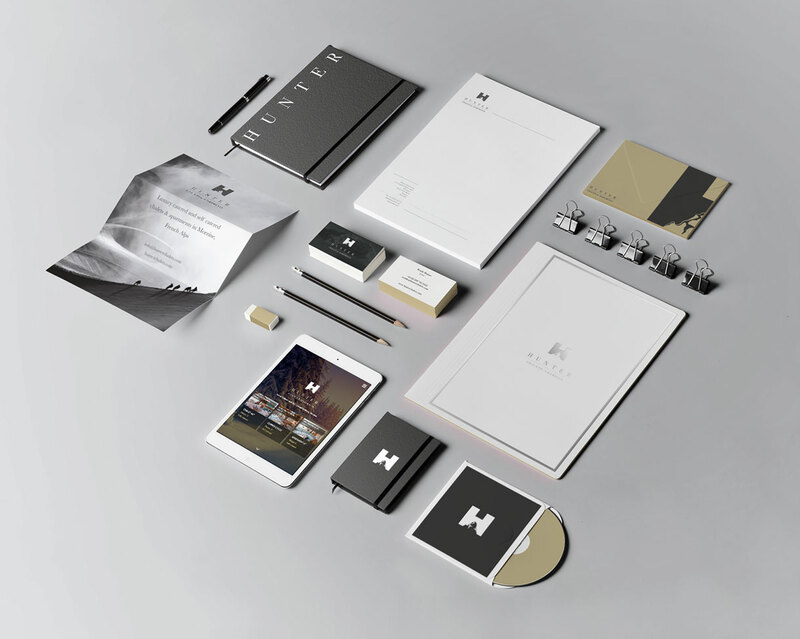 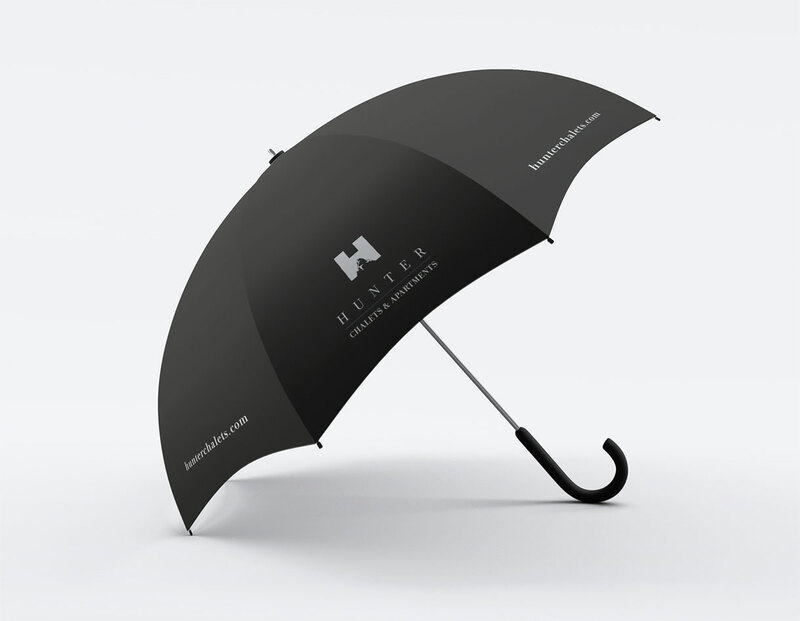 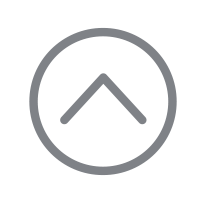 The logo is a simple combination of two elements, the letter ‘H’ from Hunter and an abstract impression of a mountain. 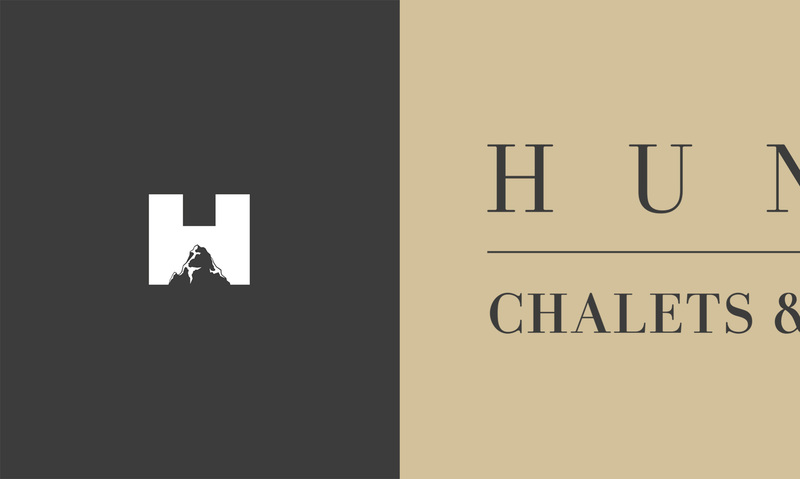 The lower counter of the ‘H’ is replaced by the mountain, creating a strong marque, which hints at the brand name, and its location. 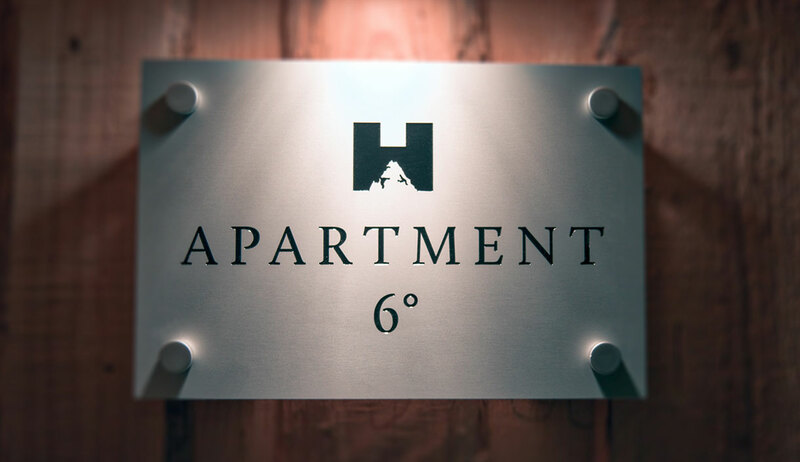 The marque is softened with the use of an elegant serif typeface, which completes the brand. 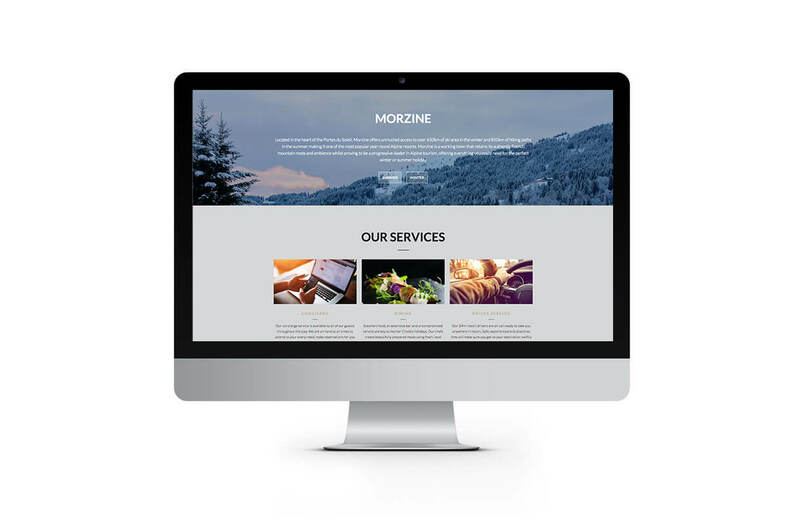 Given the sumptuous accommodation and Morzine’s majestic scenery a photographic led website was developed to show both in all their glory. 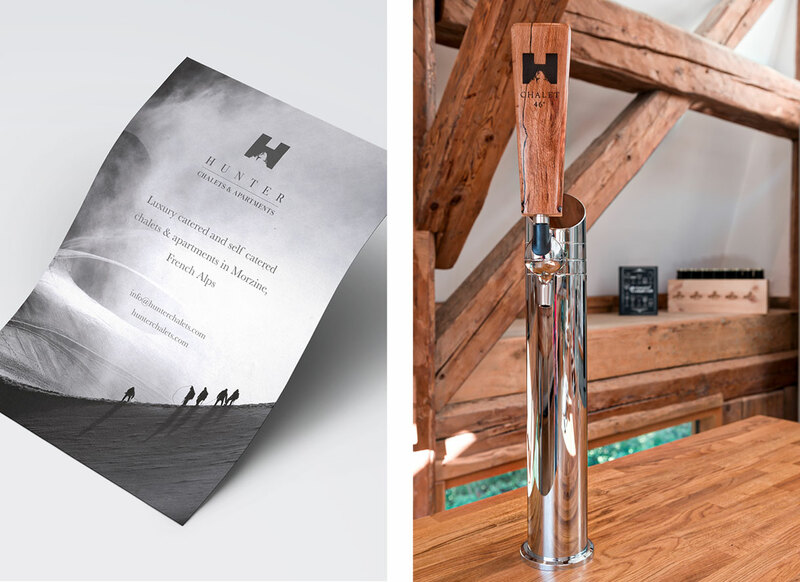 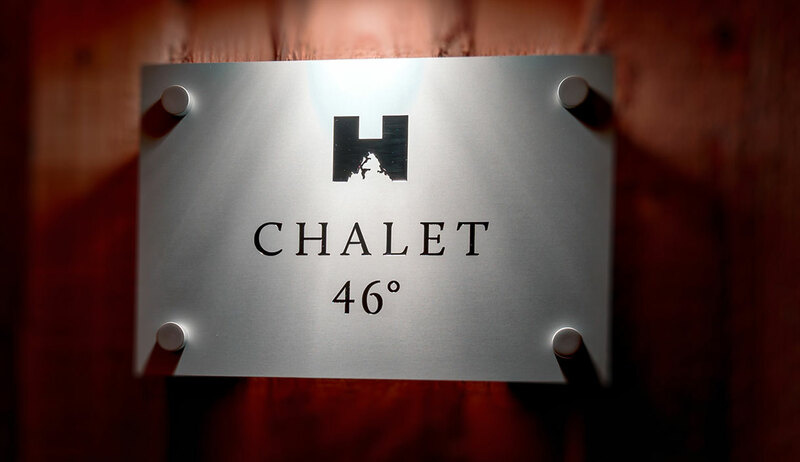 Prior to the official launch of Hunter Chalets we were assigned the task of designing signage for wayfinding around the entire site and for two specific accommodations, Chalet 46° and Apartment 6°. 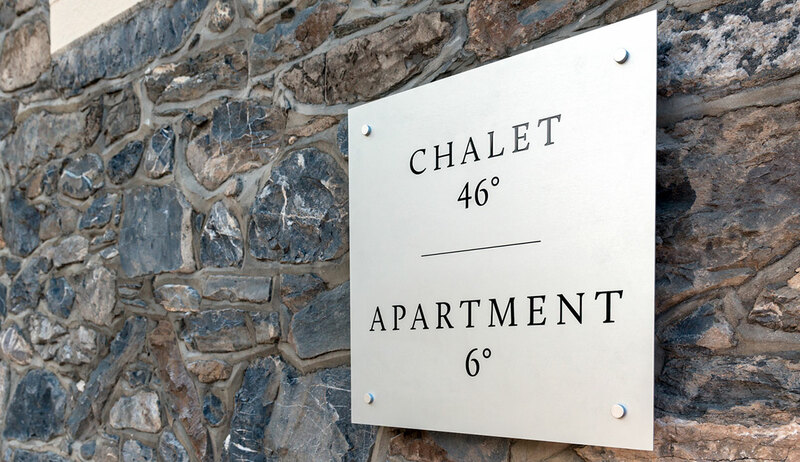 To help withstand the location's extreme temperatures and heavy snowfall, metal was the material of choice. 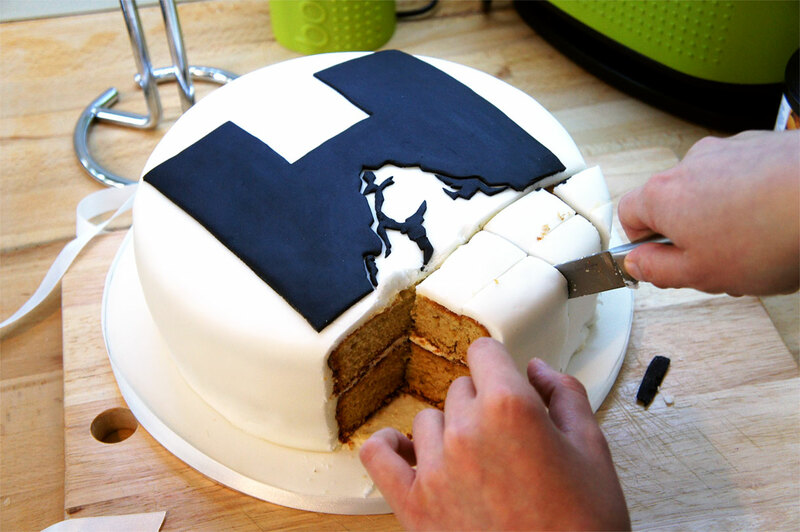 Nothing pleases us more than a happy client, so we were absolutely delighted when Finlay Hunter dropped by the studio to thank us for our efforts and deliver this beautifully branded cake!